Two electric vehicle (EV) enthusiasts have completed the epic journey from John O’Groats to Land’s End and back again – for free – in an all-electric Nissan LEAF. Taking just over two days to Continue reading Press release from Nissan UK. On Monday the 21st September I set out with Chris Ramsey from John O Groats at 10am with the goal of beating the 2011 record held by a Tesla Roadster of 37 hours to Continue reading John O Groats to Lands End in a Leaf. Tesla Model S review over 12 days and 2400 miles ! On the 1st September 2015 I was on a plane to Gatwick to collect the Tesla Model S for a 12 day review test drive. This had been in the making for Continue reading Tesla Model S Review. I’ve recently allowed my heart to rule my head ,and Ive bought a Renault Twizy now living with us here on Orkney ! Its a great EV and a smile is always not far away , especially from other drivers and pedestrians ! Continue reading Renault Twizy Living on Orkney. Orkney Islands and renewable electricity. On the 17th April 2015 we had a special VIP visit to the Orkney islands as it is the place in the UK where renewables is leading the world ! Robert Llewellyn has produced this brilliant video, watch and enjoy ! Continue reading Orkney Islands of the Future | Fully Charged. Yes Orkney could not use all the electricity it made in 2014, electric cars will soak up this excess energy thus removing a number of fossil fueled vehicles from the islands. Continue reading Orkney Islands and Electric Vehicles (EV’s). This landed on my desk this week ,and what a great guide to the Nissan leaf this is ! Continue reading Nissan Leaf Buyers Guide. One of the most rewarding things about being an electric vehicle owner is being part of a group of drivers that look out for each other. But we have all arrived at an electric charging point before, to find a fully charged electric vehicle with no sign of the driver or when they will be back. This has inspired us to create a new charging point notice card. This exclusive free download allows you to inform other electric vehicle owners when you will be back and / or your contact details. Download the PDF and follow the instructions to create your very own charging point notice card. Yes I did it ! from Chelmsford in Essex in an all electric Nissan Leaf to Aberdeen docks ready to arrive onto Orkney. Never ran out of electrons , never needed a tow , just a little forward planning was all that was required and I even got myself lost a few times, that’s how relaxed I was. Continue reading Nissan Leaf Trip completed 649.7 miles. 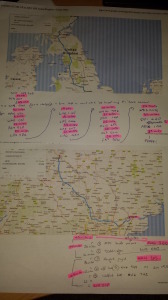 Planning a 444 mile EV road trip ! So the time has come folks for me to test out the rapid charging infrastructure in the UK with an EV road trip. 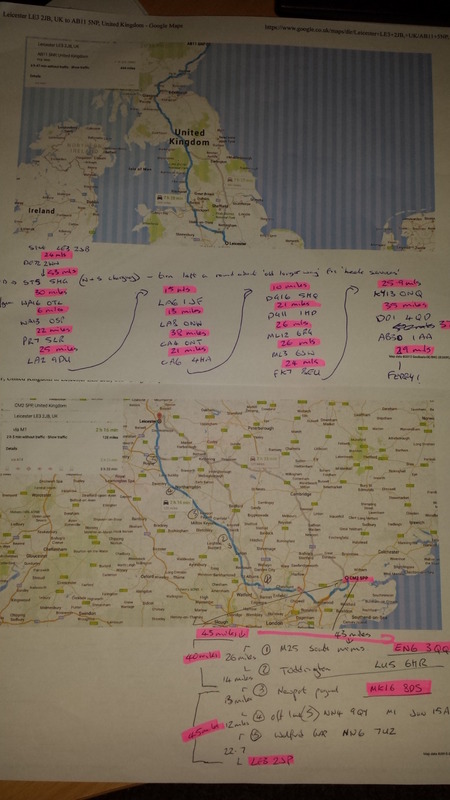 Inspired by Mr Robert Llewellyn who did London to Edinburgh in Jan 2014 in a Nissan Leaf, I’m ready for the challenge ! On Tuesday the 31st March I will set out from Leicester to deliver a Citroen C-zero to a London customer. This is a distance of 98 miles , easy in an EV with just 1 rapid charge stop required to make it comfortably. I then plan to then collect a Nissan Leaf from Chelmsford and return to Leicestershire, a total of 128 miles, again easy with 2 rapid charges along the M1 corridor. After an overnight stay at my Continue reading A 444 mile EV road trip.